Beavercreek | Clean Air Act Inc. The outside unit of your air conditioner houses some very important components of your system. Your air conditioner cools your home by absorbing the heat from inside and releasing it outside. The compressor and the condenser coil in the outside unit of your AC are vital for releasing the heat outdoors. If the compressor runs into problems it can seriously affect your entire AC system, and you may need air conditioning repair immediately. The compressor is a vital component of your air conditioning system. During the evaporation stage of the refrigeration cycle, the refrigerant becomes a low pressure gas and absorbs heat from the air in your home. As the refrigerant moves to your outside unit, the compressor changes this low-pressure gas into a high pressure gas, so it can move into the condenser, release heat, and cycle back through the system again. If your compressor isn’t working properly, your air conditioner may lose some cooling power or your system may have trouble starting up. If your compressor fails entirely, however, you will get no cooling power at all, and you may need major repairs or replacement. There are many signs your compressor may be struggling. If you hear grinding noises in your outdoor unit, it may mean that something has interfered with the compressor or the compressor motor, such as a buildup of dirt, or that these parts need lubrication. However, grinding can also be a sign of wear and tear that indicates a need for replacement. Another sign that your compressor needs repair is hard starting. You can prevent premature failure of your compressor with regular maintenance by an AC technician. Regular maintenance can help prevent compressor issues because a technician will lubricate the motor and clean parts that can cause your compressor to become worn. If your air conditioner is low on refrigerant, for example, your compressor may become damaged as it is designed to handle a certain refrigerant charge. Depending on your type of air conditioner, you will have at least one fan as part of your system. Each fan plays an important role, and if there is a malfunction or breakdown with the fan’s motor, your whole system can be affected. Motors are complex, so it is best to use a qualified technician from Clean Air Act, Inc. for your air conditioning repairs in Beavercreek, OR. The motors in your air conditioner need to operate at a certain capacity in order to do their job correctly. The motors have small, intricate parts, including a system of wires that make the motor run. In addition, the motor, like other parts of your air conditioner, is tied into your home’s electricity, so unless you have the training to both repair your motor and work with electricity, it’s better to use a trained professional for your fan motor repair. What Can Go Wrong With The Motors? Three separate motors can leave a lot of room for malfunction. Let’s start with the fan motors. The fans’ jobs in your air conditioner are to move air (air flow) and help with the heat release and cooling process in your system. When one of these fans malfunctions, it can affect the whole system. Many times the fan motors can be repaired, but there is the possibility that the motor may need full replacement. The compressor’s job is to take the cool refrigerant gas that enters from the evaporator and turn it into a hot, high-pressure gas that moves to the condenser. This is how your AC releases its heat. The compressor is a complex component, and because it works under pressure, it is not a part that should be handled or repaired by an untrained person. The best way to stay on top of potential motor repairs is to have bi-annual maintenance conducted on your air conditioning system. During regular maintenance appointments, your AC is thoroughly inspected and cleaned, including the components and wiring. If you suspect something may be off with one of your air conditioner’s motors, don’t ignore it – it could become a bigger issue than it has to be. Call Clean Air Act today and schedule air conditioning repair service in Beavercreek, OR. If you’re in the market for a new heating system or are taking a new interest in your current one, you’ll run across a slew of confusing acronyms. There’s one in particular you will see more than others: AFUE. On the cabinet of a gas-powered furnace you might read: “AFUE rating = 92%” What does this mean? Is it important to know? We’ll explain AFUE in this post. To answer the second question first, yes, it’s important for you to know what AFUE stands for and what it means. This rating is key to understanding how energy-efficient a heater is and what you might expect to see on your heating bills. For more information, as well as quality heating installation service in Beavercreek, OR, turn to Clean Air Act. AFUE is an acronym for “annual fuel utilization efficiency.” It’s a thermal efficiency rating that ranks how much heating power a heater returns from the fuel it uses, expressed as a percentage. (Air conditioners have a similar rating, SEER—seasonal energy efficiency rating—which is expressed as a ratio instead of a percentage.) It isn’t a “true” thermal efficiency rating, since it determines the heater’s efficiency over a long term instead of during steady-state, peak performance. It’s a number for consumers, not engineers. An AFUE rating indicates the amount of heating power—measured in BTUs (British Thermal Units)—a heating system returns for every 100 BTUs of power it consumes. For example, if an oil boiler burned 100 units of oil and provided 80 units of heat, it would have an AFUE rating of 80%. The higher the percentage, the more completely the heater converts its fuel source into heat. If you want to conserve energy and save money on your heating bill, a heater’s AFUE rating is one of the main aspects to consider. Modern heaters score high AFUE ratings. The Department of Energy requires that all furnaces sold in the US must have an AFUE of at least 78%—and furnaces score higher than that. A top-of-the-line gas furnace can reach an AFUE rating of 96%. Boilers also are required to have high AFUE ratings, and most score above 85%. (Boilers in general are more efficient than furnaces.) To help you grasp these efficiency levels, consider that the AFUE of burning conventional firewood is a mere 45% to 55%. However, you shouldn’t simply pick the heating system with the highest AFUE rating. Aside from its increased cost, a heater with a high AFUE may not do the best job for your home, no matter its efficiency, if your house has less effective insulation or other specific requirements that make it harder to heat. This is why you should rely on professional advice and installation when it comes to heating your home. Contact Clean Air Act for assistance on making this important choice: AFUE is important, but it isn’t everything when it comes to heating in Beavercreek, OR. In Beavercreek, OR, heating issues take center stage during the winter months when temperatures are coldest. We don’t think about heating much during the summer or fall, which can actually be a mistake. Indeed, the early fall makes an ideal time to take care of heating repairs, whether you have something significant that needs fixing or you just want to do a little maintenance. Here’s why you should take care of your heating repairs before the cold hits. The most important answer is the most obvious. You don’t want your heater to be out of commission in the depths of winter. You never know when the next storm or cold front is going to move through, which can put a great deal of pressure on you to get the repair done quickly. In the fall, when temperatures are warmer, the need for the heater is not as dire, and you’ll have more time to plan and accommodate a repair session. Furthermore, most service technicians are less busy during the fall than they are during the winter, when heating malfunctions are more common and require speedier solutions. Then there’s the question of our warm summers, which means your heater has likely sat unused for several months. That means it’s built up dust and debris, and lingering issues from last heating season have not gotten better on their own. The fall is the perfect opportunity to schedule a maintenance session to clean the accrued dust, or to note areas where the idle heater could use a repair. The benefits of taking care of your heating repairs before the cold hits are obvious. It leaves your heater in optimum shape when winter sets in, reducing the risk of further repairs just when the unit is needed the most. It also ensures that your heater is functioning at peak capacity, reducing inefficiency and saving you money on your monthly bills. If you live in Beavercreek, OR, heating issues can be resolved by the heating repair professionals at Clean Air Act. Call us today to schedule repair service in Beavercreek, OR. 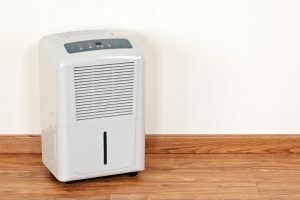 How Do I know if I need a Dehumidifier or Humidifier? Humidity is a critical factor in your home in Beavercreek. Most people know that the winter is dry while the summer tends to be more humid. While there are many humidity control products available on the market, few people know how to tell if they need more or less humidity in their home. Here at Clean Air Act, we thought it would be helpful for the community in Beavercreek if we put together a quick checklist so you can know if you need more or less moisture in your home. Humidity in your Beavercreek homes plays a large part in how comfortable you are there. Humidity can impact your health as well as the quality of the air inside your home. For example, when your home is too humid, dust mites and mold can thrive. If the air is too dry, it can also cause your wood furniture to dry out and crack. There are a number of indications that you might have too little moisture in your air. If you start to notice that your lips or hands are drying out, this probably means that the humidity in your home is too low. You may also notice that your throat and nasal passages are dry as well. This could result in a cough or a bloody nose. The increase of static electricity in your home is more evidence of low humidity. If this is the case, you’ll notice that you get shocked when you walk across your home or that your clothing sticks to you. Here are a few indicators that you have too much humidity in your home. Too much moisture can make your home feel stuffy and uncomfortable. If you notice an increase in mold growth around your home, that can also mean you have too much moisture in your air. If you really want to be sure if your air is too dry or too moist, a hydrometer can be useful. Hydrometers, as you can probably guess, measure how much water is in the air as a percentage. On rainy days, a properly calibrated hydrometer would indicate a 90% humidity level. If you would like more information about humidity control systems for your home in Beavercreek, then call the experts at Clean Air Act. We can help you measure the current humidity levels in your home and let you know if a humidity control product is right for you. Posted in Indoor Air Quality | Comments Off on How Do I know if I need a Dehumidifier or Humidifier? How do I choose the right air cleaner for my home? At Clean Air Act, we provide a multitude of air purification systems to help improve indoor air quality in your Oregon City home. The standard filters that are installed in your heating and cooling system may not be enough if you suffer from allergies or other respiratory issues. If you aren’t sure which type of air cleaner will meet your indoor air quality needs, just give us a call to set up a consultation. Here’s some information to get you started. Air cleaners are installed to work with your central heating and air conditioning system. Many homeowners choose either an electronic or mechanical air cleaner, since they each target different contaminants. Chronic allergy suffers choose mechanical air filters since they are more cost-effective and target the more common indoor allergens, such as pet dander, pollen, and mold spores. Electronic air cleaners are more expensive but target smaller particles, so it is important to know what type of irritants you wish to eliminate. Some people choose to install both types of air cleaners, in addition to a UV germicidal light to help kill bacteria and viruses. The type of air filtration system you choose really depends on your specific needs and your budget. If you are unable to eliminate the source of the problem (people with pets, for instance), then you may one to consider one of these different combinations of air cleaners. Keep in mind that air cleaners cannot eliminate radon or get rid of mold in the home. Mold remediation and radon mitigation should be handled by a professional. We also offer radon testing and remediation for homeowners throughout the area. Posted in Indoor Air Quality | Comments Off on How do I choose the right air cleaner for my home?